Second albums like follow-up novels can be problematic, King King definitely have climbed the mountain and hit the ground running with the opening track ‘More Than I Can Take’ and definitely are not Standing in The Shadows of the last album. 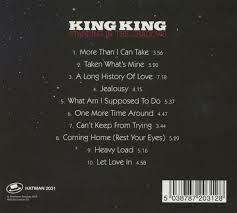 This is an album produced with empathy so that the live sound that is integral to King King is retained. It is the sharpening refining all the talent that Alan Nimmo brings to the party with his soulful voice that melts your resistance and draws you into the music delivered by his blistering guitar work. The long low bass line that is Lindsay Coulson, who co-writes many of the tracks with Alan, combined with Wayne Procter on drums who allow alsn’s talents are to blossom and shine through. This trio produces a wonderful sound but King King are not complete without the funky passionate, sometimes manic, keyboard style of the effervescent Bennett Holland. The four members intermesh the sound to build layers, but it is the lyrics and Alan’s vocals that are king. This is an album that showcases every track, I was hooked from the first track with its rhythm driven top line with a twist of funk and a whole basket of music ‘More Than I can Take’ is a perfectly formed number that introduces the listener to all the talents of this award winning band. There is confidence in the lyrics, with the soulful emotional remorse of ‘Taken What’s Mine’ where Alan’s superlative guitar work in a master class of a guitar solo. Change of tempo with a seven minute version of ‘A Long History of Love’, the journey is of love’s trials and tribulations making “…him a better man somehow…”, Bennett Holland’s keyboards add that mournful drive that moves the song along and a beautiful duo between guitar and keyboards makes this track stand out and shine so that despite its length you want it to go on so we have a happy ending to the journey. The two covers on the album bring the King King magic to fellow Scotsman Frankie Miller’s ‘Jealousy’ that is full of torment emotions the vocals drip with raw emotions that touch the soul. The second cover, Free’s ‘Heavy Load’, wow what a soulful rendition of the excellent Paul Rogers’ lyrics you are left hanging on to the notes as the piano fades away. Then the tempo picks up with a lighter track ‘Let Love In’ full of positivity and the lyrics are full of promise and the guitar playing open and free as your feet start tapping, great way of ending this emotionally charged album. 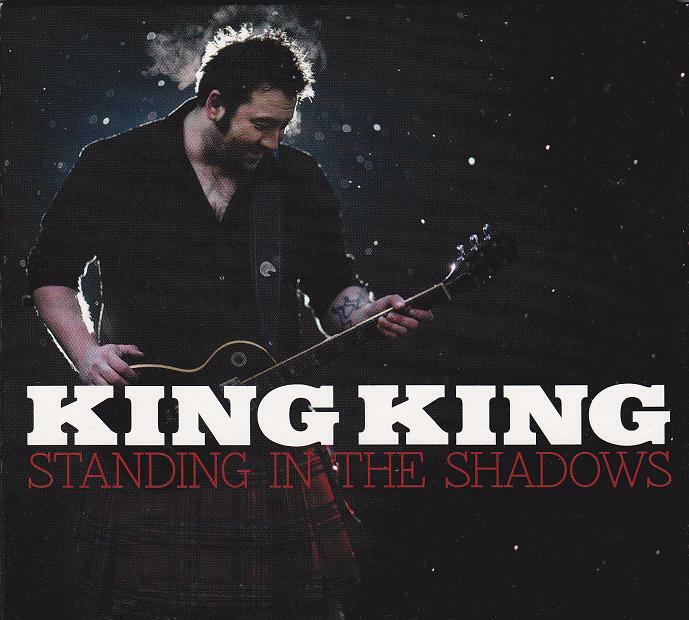 Every track on Standing In The Shadows is a measure of the depth of true talent that is King King the sound is distinctive and approach to each song is undeniably emotionally bound up with the lyrics, the instruments then reflect back the emotion building the tension and keeping you entranced. Catch them live:- in Germany, France, 20th June 2014 Big Wheels Blues Festival, Isle Of Man, Denmark, Norway, Switzerland, Germany, Belgium and 29th August 2014 Weyfest, Farnham and 30th August The Garage Swansea…. Keep checking their website as dates keep being added.